FIDLAR returns to the Observatory for two nights May 13 and 14 with a posse of up and coming support bands: SWMRS, The Frights, and No Parents. The Los Angeles based skate punk/garage punk band brings a great amount of energy to the stage with their screaming guitars and care free attitude. Choosing an acronym when naming the group (F*&k It Dog, Life’s A Risk) along with album names like Sh@t We Recorded In Our Bedroom and Don’t Try, FIDLAR adds a bit of tongue-in-cheek humor to their punk attitude. The guys from FIDLAR spoke to Concert Guide Live about dream duets, Del Taco and other crazy things. CONCERT GUIDE LIVE: The acronym for your name, how was it chosen? FIDLAR: It’s an acronym used in skateboarding a lot and Zac was living with these skaters in LA that were saying it and then we kind of adopted the mentality for our band. CGL: What’s the most “Rock Star” experience you ever had? FIDLAR: One time on the Sunset Strip after a killer show at the Whiskey A Go Go, we drank Jack Daniels and did cocaine off of these stripper’s bodies with Tommy Lee and Slash. CGL: What does the band order at Del Taco? FIDLAR: Spicy Jack Chicken Quesadilla (Go Bold! if they offer it), and the Crispy Shrimp taco when available. CGL: Who would be your dream duet? FIDLAR: Celine Dion and 2Chainz. CGL: How do you feel about being an indie band in today’s music industry? 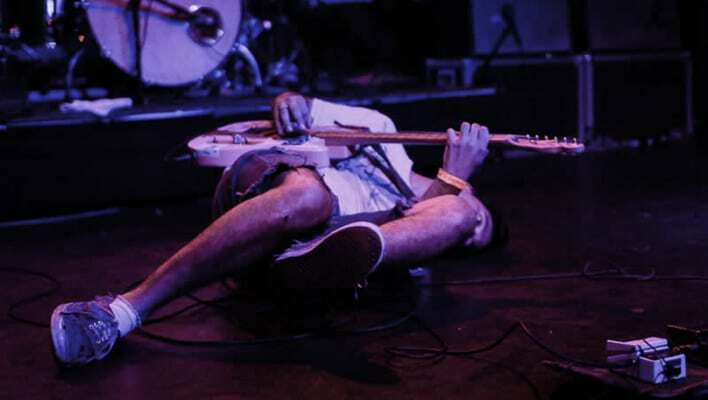 FIDLAR: It’s nice not being told what to do. CGL: Other than music what does the band enjoy doing on a day off? FIDLAR: It’s nice to have time to work on our memoirs. CGL: What pumps you up before a show? 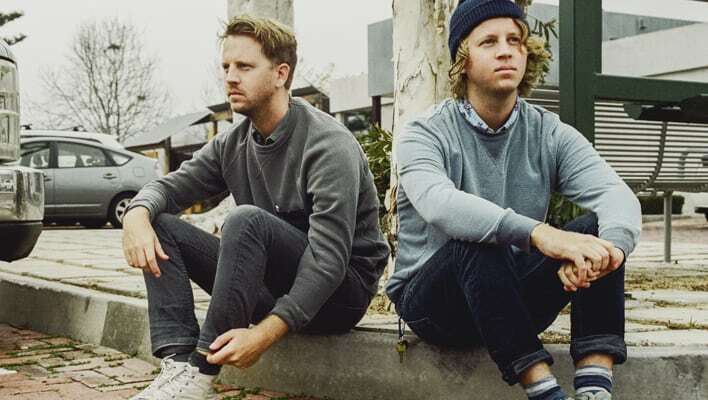 California surf rock band, Cayucas, return to The Constellation Room Jan. 10 along side Blood Surfer. Cayucas revives the sound of what people may say is the indie rock version of The Beach Boys with lyrics about beaches, parties and girls. Concert Guide Live talked with frontman, Zach Yudin about Albert Einstein, tostadas, Paris and more. CONCERT GUIDE LIVE: What is one unforgettable tour (or tour memory)? ZACH YUDIN: We ended up driving from Manchester to Paris for what we thought was going to be an overnight trip and it took 14 hours. We had planned on sleeping in the van, but we ended up getting to Paris at 2pm. Our sound check was at 2pm. After Paris we had to head back to London which was a 10 hour drive. We got to the airport 5 minutes late and had to take a train from London to Liverpool, then take a flight to Barcelona, and arrived at 12pm, and played at Primavera Sound at 5pm. It’s funny because the audience had no idea what we had just been through in the last 24 hours. CGL: Which band would you say you are most like? ZY: We don’t have a band that we are really like. A band I would like to be like is The Beach Boys. CGL: Is there anything you would do differently in your music career? ZY: There is nothing I would really change, I was always experimenting with different sounds and that’s what “Cayucas” came out of. It all seemed very natural. CGL: Best advice ever given about music? ZY: I would always want to do different stuff like play the sitar on stage and my brother told me to just stick to singing, he had a more simplistic approach. Since I haven’t played guitar as much, I have been able to interact with the audience more. At one show I was able to reach out into the audience and hold a girls hand. I couldn’t do that with a guitar. CGL: What is your favorite food? ZY: My favorite food is tostadas. I love Mexican food. My mom makes tostadas for my birthday. CGL: If you were written about in the newspaper, on the front page, what would the headline say? CGL: What is your favorite song? ZY: I’m gonna go with a Beatles track, “Strawberry Fields Forever”. CGL: Whom would you want to do a duet with? ZY: “Linda Ronstadt” that would be a dream come true. CGL: If you could trade places with any other person for a week, famous or not famous, living or dead, real or fictional. With whom would it be? ZY: (Laughing) I would like to be someone that the ladies find attractive. I would be Albert Einstein, I would like to know what it is like to see the world through his brain. I would like to know what it’s like to be that intelligent. Saturday, Oct. 17 The Karman Bar in Laguna Niguel will host Orange County Music League President and co-founder, John Safari’s birthday. With bands such as SIVA, Beneath The Buried, Art of Decay, Haster, Afraid of My Neighbor, and Tragafeto. Concert Guide Live caught up with Beneath The Buried vocalist, Kevin Havic, to get the scoop on the music scene in Orange County and what a John Safari Birthday Party is like. CONCERT GUIDE LIVE: Tell me a little bit about Beneath The Buried. KEVIN HAVIC: It started with my self and Danny (Taylor). We used to play guitar and write for fun. A couple of people heard us and thought it was cool, so we decided to recruit a drummer to play with us and my buddy Brian (Cabral) was a bass player so we all started playing. When our original singer, Scott, left for Florida we thought the band was done. My brother told me to sing on some of the tracks we had recorded. I went in the studio, sang and was scared to show the band. They liked what they heard and we started writing new songs and kept going. CGL: What can we expect from a John Safari birthday show? KH: We usually bring our big amps to the Karman Bar. This is going to be one cramped, sweaty, violent, fun show! KH: It started off professional with John and I. Bill Bennett introduced me to John, he was easy to work with. He was always on board with our ideas and excited. Now John is one of my best friends. CGL: Why do you think it is important to have OCML in our community? KH: It brings a lot of the local talent together. Every one is supportive of each other. When you go to support another band you can pull inspiration from them. No matter how big or small the show or venue you go to show your support. It’s all about local communities. Beneath The Buried has a saying “We don’t need to be making millionaires more money.” We should just support our locals. CGL: How does the band interact on stage together? KH: We tend to mess around a lot together on stage. We have fun and we mess with Josh (Animal) the most. Brian runs around stage with his long hair. It’s all about the good vibes, we laugh and just have fun. CGL: What are some obstacles you overcome as a band? KH: Loosing a singer was really tough on the band to the point where we didn’t think we could be a band anymore. Writing is always an ongoing challenge. This last record was hard to write, nothing was ever good enough. We wrote maybe 20 songs and four ended up on the record. We write acoustically with pianos and guitars to get ideas for a song. I tend to write a lot about life experiences. It feels good when people understand your music and share your experiences. CGL: What is the ultimate goal for Beneath The Buried? KH: Never stop playing. A band starts out as a dream, becomes a hobby, then a past. The goal for us is to never stop playing. No matter how hard it gets, we don’t quit on each other. We are going to keep following our dream to make it a future. We are looking to tour next year, and hopefully get on a Warped Tour. CGL: What is the most important part about the OC music scene? Kevin: The brotherhood and sisterhood of the scene. A lot of people have a ton of negative things to say about the music scene in Orange County, but they are all looking from the outside. There’s a lot of local talent and friendships within the scene. 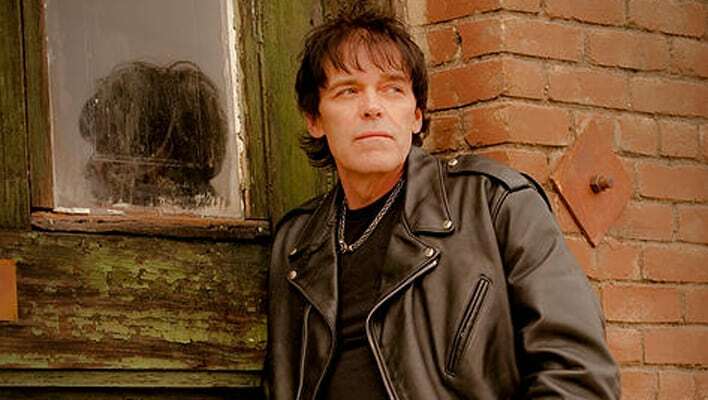 Recently off of his world tour, Richie Ramone is taking the stage at Hi-Fi Rockfest in Long Beach Sep. 26 alongside some other great artists. Well known for being one of the drummers for The Ramones, he has ventured off into a solo career, which shines a light on what he’s capable of as a frontman and songwriter. Concert Guide Live caught up with Ramone to chat about festivals, Joey Ramone and band advice. CONCERT GUIDE LIVE: You’re going to play the Hi-Fi Rockfest alongside some great acts, what are you most stoked for? RICHIE RAMONE: I find festivals a lot of fun; you have the pleasure to play alongside some great musicians and friends. I look forward to playing but also seeing some of my friends’ bands play. CGL: You’re both a drummer and a singer, where does your heart lie? RR: Playing drums since I was five, the drums were my first love. I moved to the front to sing and mix things up, but drumming is where it’s at. It was my first instrument so there’s no gimmick. CGL: What would you say is your biggest weakness as a drummer? RR: I don’t know, I’m not a big double-bass drum player, I have more of a traditional drum style. In general, drumming and singing is a bit challenging. You have to be ready for it. You have to be in shape and gasp for air every once in awhile. CGL: Back to the Ramones — you were the only Ramone to come into the band as a lead singer and drummer. As a drummer, was there any difficulty presenting your stuff confidently to them? RR: At the time I didn’t think about it. We became friends right away. We were with each other every day for four years. Joey pushed me to write and sing. He was so secure with my music and very confident in me. I don’t think I ever doubted anything because he always made me feel good about what I wrote. CGL: What advice do you have for musicians trying to establish their career today? RR: In today’s industry you have to work even harder. There are a lot of people trying to “make it.” You have to use technology now and know how to work the media. Today’s challenge is not so much finding people that appreciate your music but getting them to come out and support you. CGL: What is the difference between the LA and New York music scenes? RR: I don’t think there is much difference except the weather. In New York if they don’t like you they will tell you right away. Here in California I feel they string you along for a while and then they tell you. CGL: Your relationship with Joey was special, what was the best thing that you took away from this relationship? RR: It gave me a direction of who I wanted to be and what I wanted to write. Before that, I was all over the place. 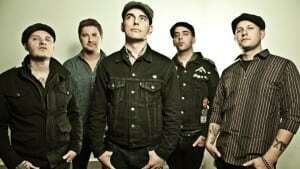 Street Dogs hit the stage at Hi-Fi Rockfest at the Queen Mary in Long Beach on Sep. 26, playing alongside some of the pioneers of punk rock. “The name Street Dogs came from the actual lifestyle of growing up in the middle class community, it’s how we grew up on the street corners,” singer Mike McColgan said. Forming a punk band in Boston with such a thriving scene of musicians that were being taught at Berklee School of Music and the Boston Conservatory by virtuosos could be seen as challenging. At times playing punk rock hasn’t always been easy. McColgan also has an idea of his ultimate festival lineup. Hitting the stage for the first Hi-Fi Rockfest in Long Beach is Year of the Dragon. The festival will take place at the Queen Mary Sep. 26. Year of the Dragon made their appearance in the music scene in 2012, which also happened to be a Year of the Dragon. Coincidentally enough, they established their name due to two of the members also being born in a Dragon year. Since starting the band, Year of the Dragon has overcome their fair share of obstacles. Being in the music industry isn’t exactly the easiest, but Year of the Dragon has managed to find the motivation to keep them going. According to the band, we can expect a lot of energy from their live show. Walt describes the band in three words as “red hot fire” and Kerim as “blunt force karma”. This is exactly what they want you to feel from their performance. “It’s the legacy of the rock-n-roll business that keeps me going,” Walt said. Local LA Band Evil Maria brings you the dark side of Indie/Pop. With their spellbinding vocals, mesmerizing guitars, synth pop keyboard, solid bass and killer drums, Evil Maria is sure to leave your ears pleased. They are set to hit the stage at Fais Do Do on Jul. 31 for the annual International Pop Overthrow (IPO) Music Festival. IPO Festival features over 180 of the best pop bands around the world in 16 different cities. Evil Maria’s line-up consist of Evren Göknar (vocals / guitar), Mike Avenaim (drums), Zach Ingram (bass) and Kevin Roberts (keyboard / backing vocals). Evil Maria stemmed from the solo career of frontman Evren Göknar, who released two solo albums in 1998 and 2000. “Its easier to get people more interested in what you are doing when you already have an established sound, that’s how I found my band. You start jamming with people and you can create something cool,” Göknar said. 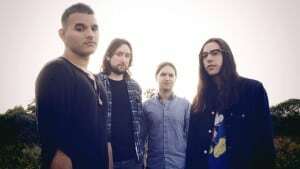 Local rockers Some Type of Stereo are heading out for their summer tour, hitting nine states that include Colorado, Kansas, Indiana, Ohio, New York, Pennsylvania, Washington D.C. and North Carolina, where they will reside to record an album for two weeks before heading back to play in California. 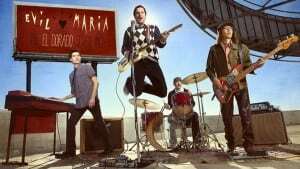 Some Type of Stereo is an L.A.-based band composed of John Garside (bass), Evan Matthews (guitar), Michael Szymczyk (drums) and Marco Toledo (vocals). The band plays a mixture of rock, funk, Latin and R&B with just enough flavor for everyone to enjoy. They track all their music live and on tape so they have to be well prepared before they head into the studio. “We hope this tour gives us more experience and practice before we go to cut the full-length album,” Toledo said. According to the band, they all play a role in the creation of the eclectic sound. Some Type of Stereo seems to be keen on the fact that music is a universal language and can bring people together. 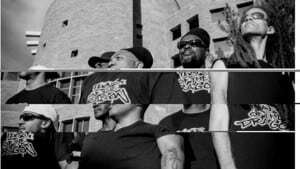 “We know we aren’t going to please everyone, but it’s about a common connection that people share with the music,” Garside said. Aside from music, the band has different hobbies that they enjoy, such as sports, reading, being environmentalists and cooking Peruvian Dishes. Just ask Marco when he is available to make you dinner. As for Matthews, he enjoys breaking couches — the quiet ones are usually the most trouble! Be sure to catch Some Type of Stereo in a city near you. For a list of dates, music, videos and to connect with them on social media go to: www.sometypeofstereo.com. Concert Guide Live chatted with the Grammy nominated Cage the Elephant prior to their three sold out shows in L.A. and Orange County, beginning with The Observatory on Feb. 4, followed by Tower Theatre on Feb. 5 and Feb. 6. The band is performing on the Conan O’Brien Show Feb. 4, airing the same night as their performance at The Observatory. Their hit single, “Cigarette Daydreams” is currently No.1 on the alternative radio charts, making this their fifth No.1 song to date. It’s no wonder, considering the song is on constant rotation on all the major radio stations. If you can’t make it to an upcoming show, a Cage The Elephant concert was filmed live in Santa Barbara, CA, and will air Feb. 13 on the Emmy-nominated PBS series Live From The Artists Den. CGL: Could you briefly describe the band’s music-making process? CTE: We don’t have any certain formula we hold fast to. We generally allow our creative works to become realized however they naturally develop. Someone might have a chord progression or a melody, or maybe something close to completion, but after we bring it to the band as a collective, we finish the song. Pretty much all the songs we write are collaborative. CGL: Cage the Elephant had the opportunity to perform with Dave Grohl of the Foo Fighters. How was that experience? CTE: It was incredible. Almost to the point of being comical. The entire band just stared at Dave Grohl, grinning like a bunch of second graders all the way through the show. CGL: Do you have a set time each week when you practice? Or are rehearsals more spontaneous? CTE: As far as making records it’s more spontaneous. There’s no set time we get together and start working. You can never put your finger on when an idea is going to start to unfold, so that remains spontaneous. As for rehearsing for a tour, we have six hour practices five times a week leading up to the first show. CGL: All three albums you have put out thus far have been different from one another. What would you attribute the differences to? Is it changes in musical taste or something else? CTE: There has most certainly been an evolution in our musical taste as well as applying some learning we’ve picked up along the way. With each record we try to breakout of fear based writing, and that definitely changes the way our band sounds. Human beings are prone to projecting false premeditated images of self. All our lives we work tirelessly creating these images of how we would like to be perceived, rather than being comfortable with our actual identity. So with each of our records we try to break away from that. Hopefully that is the biggest reason the sound of our band changes between records. CGL: What’s something new we can expect from the next album? CTE: I don’t even know what to expect from the next album. Every time we finish a record it’s like music becomes Chinese to me for a time, I don’t understand it. We never know what it is we’re looking for until we find it. We just kind of have to wait for the discovery to come to fruition. CGL: What’s the ultimate direction for your band? What is your main goal? CTE: If fame and fortune were our ultimate objective, we would have quit a long time ago. Our main goal as a group is to dive deeper and deeper into the inner workings of creativity via naked honesty. CGL: What are your thoughts on today’s Indie Music scene? Is it becoming trendy again? CTE: Trends are all relative to the time period in which they live. I try not to look at music that way. Even with stuff that is perceived to be super commercialized pop, it’s all relative. Yesterday’s cheese is today’s hipster playbook, so on and so forth. So history will probably tell things way differently than we perceive them now. Our view is locked into what we see around us skewing the big picture. If you really think about it, it’s amazing that on a rock, a planet, traveling thousands of miles an hour around a star, in the middle of the Milky Way galaxy, human beings are able make sounds that are pleasing to the ear. I think that’s an anomaly in itself. So I try not to think of music under those constructs. Look for Cage the Elephant to bring their high-octane performance to the southern California area in the coming weeks. With their light but defined instrumentals blending with the bright poppy vocals Foster the People has done it once more! These LA Locals will be playing some home shows at the Shrine Auditorium Fri, Nov. 14 and The Santa Barbara Bowl Sat, Nov. 15. With the release of their most recent album Supermodel debuting earlier this year, the trio has really defined their sound. With their song Coming of Age, it gave the band more of a direction of where they belong in the music industry. Los Angeles based band Foster the People formed in 2009 and it didn’t take long for their career to take off with the debut of their album Torches in 2011,which went Platinum earlier this year. Foster the People showed the music industry just what the trio was capable of. 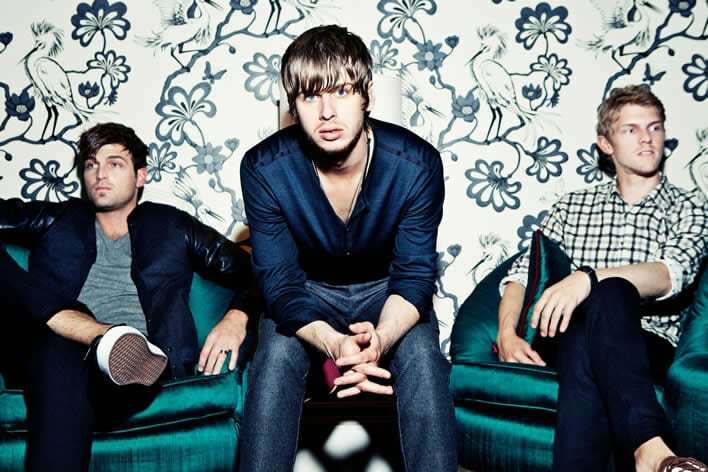 Their career took off with their hit “Pumped Up Kicks” which took over the airwaves in multiple genres of music. Aside from their musical projects the LA natives have really found a love for their city. In mid July, Foster the People played a show in LA under a mural of their artwork album cover. Forced by the city to take the mural down, despite the signing of a petition by fans. Foster the People have cut a deal with the city on another location for a mural. As promised by the band the mural will be worked on following their tour.